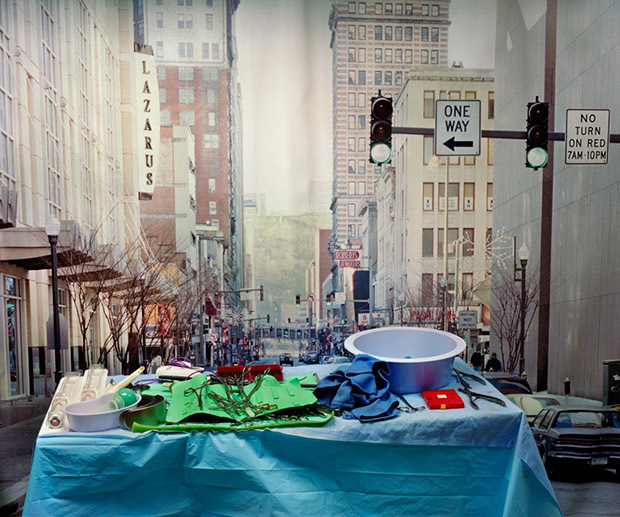 In the late 1800s, explains New York-based photographer Corinne May Botz, Dr. Jean-Martin Charcot held weekly lectures at the Salpêtrière teaching hospital amphitheater, where he would display women suffering from what was then known as “hysteria.” More than a century later, Botz traces the often uncomfortable intersections of theater and illness in Bedside Manner, for which she documented standardized patients, or professional actors used in instructing medical students in interacting with and treating a diverse set of cases. “She was obsessed with beauty,” notes director Nancy Kates of her recent subject, prolific writer and activist Susan Sontag, who penned the 1977 opus On Photography, a collection of essays that has since shaped and colored our relationship the medium. For Reely and Truly, London-based photographer Tyrone Lebon pays tribute to the medium by tracking down and interviewing dozens of artists and photojournalists, including Juergen Teller, Petra Collins, Nobuyoshi Araki, and Arne Svenson. Tracing a non-linear narrative, the film moves in hallucinatory frames from one photographer to the next, their disparate lives threaded together by recorded conversations between the filmmaker and his father, fashion photographer Mark Lebon. Photographer and videographer Sean Gallagher’s short film reveals the devastating cost of leather production in India. Situated along the Ganges river, the northern city of Kanpur has become the country’s largest producer of leather, 95% of which is exported to western markets. With lack of regulation and keeping costs as low as possible, 50 million litres of highly toxic waste gushes into Kanpur from the tanneries everyday. This chemical-riddled water then flows back into the community, polluting farmland and spreading disease. The Toxic Price of Leather presents a very human story about the ramifications of widespread consumerism and those wounded in its never-ending appetite. Funded by the Pulitzer Center. Photographer Frans Hofmeester decided to record his newborn daughter Lotte every week from the day of her birth. After shooting for 14 years, Hofmeester created a captivating time-lapse of Lotte’s growth. She appears to flourish in seconds before our eyes, her expressions and laughter permeating every frame. Portrait of Lotte is not just an example of the fleeting nature of time, but of the bond between father and daughter. For parents, the moments will always pass too quickly. 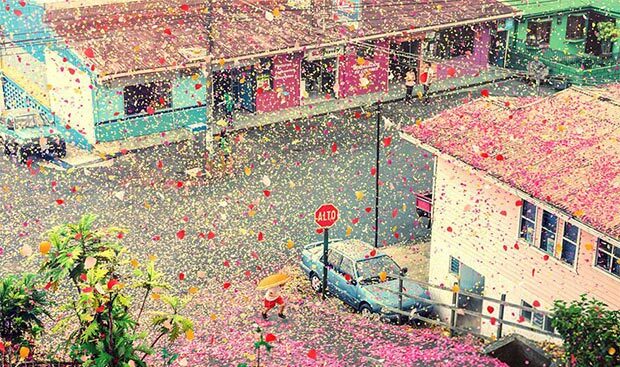 See what happens to one tiny tropical village in Costa Rica when showered with 8 million flower petals for Sony’s new 4K TV campaign. Shot over a period of two weeks and with no digital manipulation, photographer Nick Meek and film director Jaron Albertin had the privilege of flooding the town with almost 3.5 tons of flora and fauna to create this glorious scene. 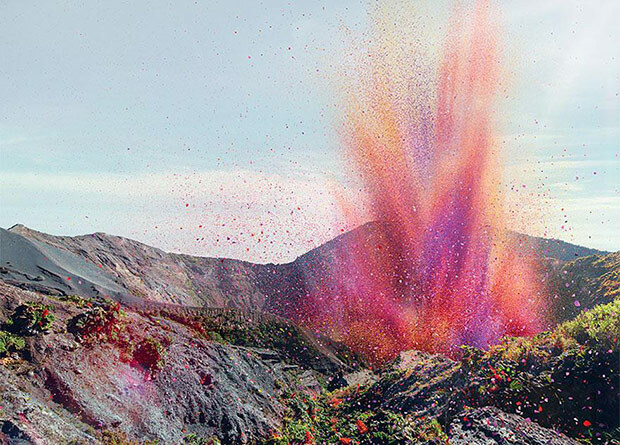 Using a local volcano as the source for the imagined eruption, the cascading rainbow of colors blankets the world in a visual feast of detail and wonder. To get involved, visit Save the Children’s website.